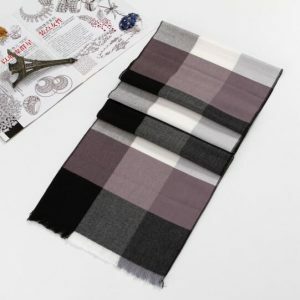 FEATURES Classic striped plaid scarf, return to business gentleman color, light and warm, long-lasting lock temperature. 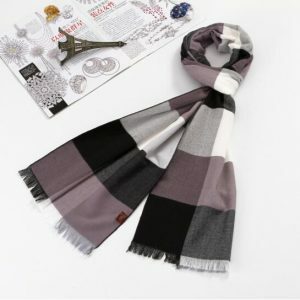 Choose comfortable and breathable fabric, good breathability, strong moisture absorption, warm and skin-friendly. 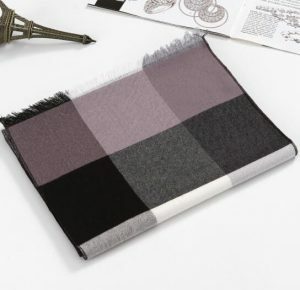 The delicate fringe design makes the scarf calm and elegant. The raw materials are made of wood pulp fiber, which is naturally non-polluting, healthy and environmentally friendly. Imported printing process, uniform color, natural color, not easy to fade. The fine weaving process, the needlework is dense, the needle is not dropped, and the hand feels soft and comfortable.